Before enrolling in the Math Genie program, Daniella (4) was just an ordinary young girl. According to her mother Michelle, she was average in all areas, not far behind, but not far above any of her peers. Learning numbers and counting was just something she had to do. Each time she was presented with numbers, she did what she was told, but she had no motivation. She would rather be playing with her toys. Her days in preschool were just average days and Michelle never heard any remarkable things about Daniella. Her teachers talked about Daniella in ways that showed her mother she was just an average kid that was stuck in the middle. Daniella was one of those children that teachers liked (because she was well-behaved,) but she was never outstanding in any area. Daniella’s mother was at work one day when she saw a child with a Math Genie backpack. She had never heard about the program, but was interested to find out more. According to Michelle, the program was intriguing, but she was still skeptical about the effect it would have on Daniella. 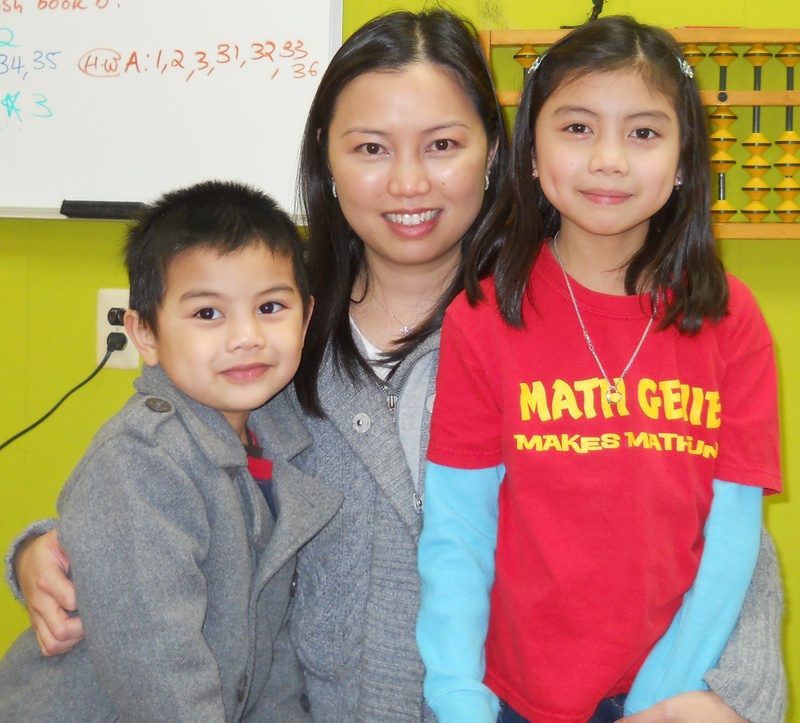 As Daniella began coming to Math Genie classes, and immediately, Michelle noticed the family-like dynamic in the program. She noticed the teacher’s personal concern for each and every child in the class. More importantly, she noticed that Daniella always wore a beaming smile when she came in and out of the Math Genie classroom. At home, Daniella completed homework quickly and was motivated to get started. This stood out to Michelle, who was impressed with such motivation at such a young age. Daniella’s motivation has been consistent throughout her 2 years at Math Genie. What do her Teachers Think? Not only is she motivated to do Math Genie work, but she is standing out in school as well. Now in first grade, Daniella’s teachers are noticing how she differs from her peers. At a recent parent-teacher conference, Daniella’s teacher was expressing her surprise about Daniella’s mathematical ability. She told Michelle a story of when she decided to challenge her first graders with some double-digit addition. Daniella was the only student in the class that was able to solve the simple two-digit problem. This intrigued her teacher, and she decided to challenge Daniella a bit more. She gave her several more two-digit addition problems, and Daniella answered them quickly and with ease, without the use of pen or paper. The teacher retold this story to Daniella’s mother, and she expressed the fact that she could not believe the speed and confidence with which such a young girl answered such challenging questions. According to Michelle, the Math Genie program has not only helped Daniella with math, but it has also boosted her confidence and motivation in many other areas. She concentrates better on all tasks, and her reading has significantly improved because of this newfound confidence and concentration. Also, in everything she does, Daniella instantly focuses in on the details and gets the task done in a precise manner that is not common for someone her age. Her mother says that the way that Daniella describes things is incredible, as if her memory has become somewhat photographic. Even her focus duration has improved significantly, and she can stay on task for a much longer period of time. All of these fantastic gains are not only apparent in her academic performance, but also in extracurricular areas as well. Daniella has enrolled in a piano program, and her piano teacher also sees her incredible ability and potential. According to her teacher, she picks up notes quickly and learns melodies easily. Overall, Michelle is extremely proud of Daniella and all of her progress. Instead of being an average kid, Daniella is now the outstanding child that every parent dreams of, a child whose skills and intelligence are hard to be modest about. Daniella went from being in the middle to a girl whose abilities have risen high above her peers and a child who breezes through any task she is given with ease and confidence. The road to success is by no means over, for each day, Daniella is growing, learning, and continuing on her path to be a genius.